This April, Sky Zone Tampa is celebrating spring with new events. Promote advocacy during World Autism Awareness Day and have fun with the whole family this Easter Weekend. On April 2 Sky Zone will be raising awareness for World Autism Day by hosting an Autism Awareness Day with a Sensory Friendly Jump from 3 - 8 p.m. There will be lower music than normal, reduced lighting and minimized distractions for all guests. The Sensory Friendly Jump will include special pricing for all guests, at $11.99 for 60 minutes of jump time including a free jump for one helper and access to all of the park’s fun zones. Tickets can be bought day of or early over the phone by calling 813-833-1740. Supporting Autism awareness extends beyond World Autism Day as Sky Zone will be offering Sensory Friendly Birthday parties for $199. This special package provides an option for a private court, jumping for seven children and helpers can jump free, if needed. This special package is available Tuesday – Thursday from 3 – 8 p.m. or at 10 a.m. – 2 p.m. during extended hours. All Birthday packages include 90 minutes of jumping time and 60 minutes in the party room, along with pizza and unlimited soft drinks and water. A Sky Zone Party Pro is assigned to all birthdays to help take the stress off the parents and make sure everyone has a fun party. There’s only one thing better than jumping at Sky Zone, and that’s jumping at Sky Zone with the Easter Bunny. On Saturday, April 20, from 8 – 10 a.m. the Easter Bunny will be hopping around Sky Zone for an Easter Egg hunt, so bring the kids out to search for eggs and show off their jumps. The Easter Egg hunt will take place at the beginning of Toddler Time on the dodgeball courts. There will be a coloring station, Easter crafts station, tattoo station, and pictures with the Easter Bunny for everyone to enjoy after all the eggs are found. It's fun all around for Easter in Tampa! Jumpers are asked to bring their own baskets because there will be limited eggs available. Arrive early and fill out waivers online for a faster check-in on the big day. Even without the Easter Bunny, Toddler Time is a time for fun between children ages seven and under and their parents every Wednesday from 10 a.m. – 12 p.m. and Sunday 9 – 11 a.m. 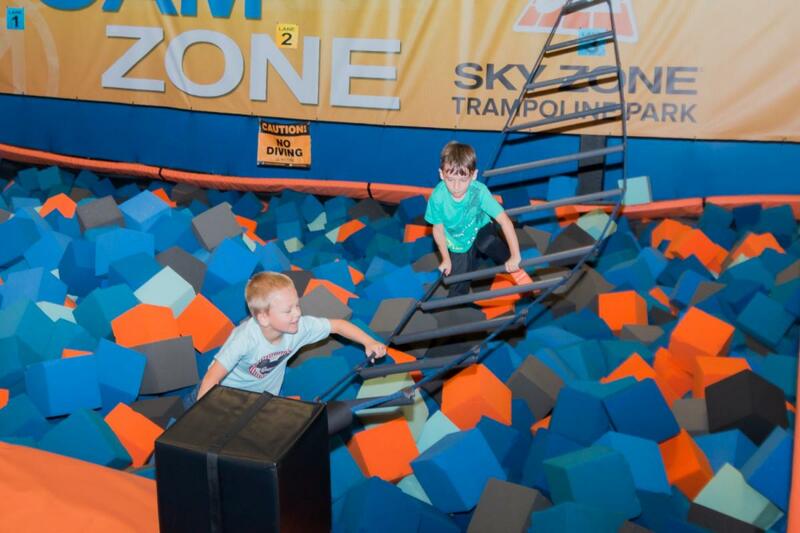 Bounce into Sky Zone Tampa this month for a jump-tastic event. Be sure to let us know how you enjoyed your experience by leaving a comment! For all family-friendly events in Tampa, register at 813area, it’s always free!